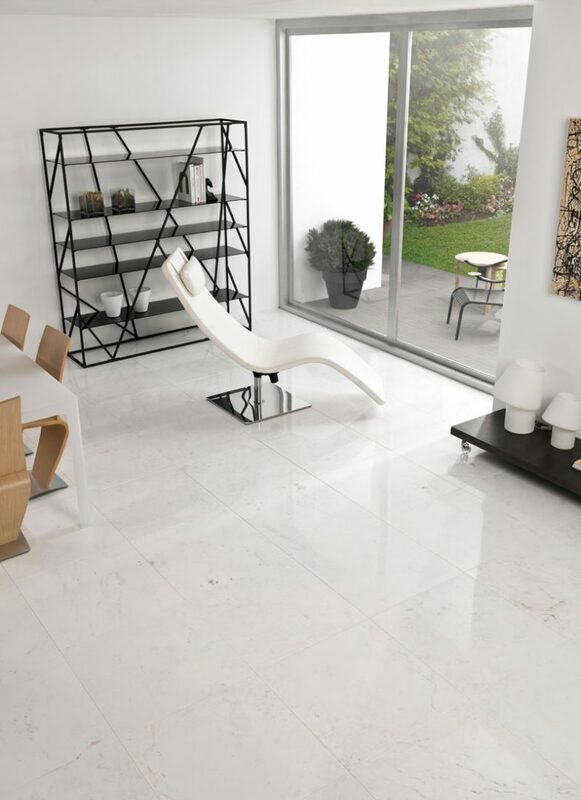 Elegant, visually impacting and durable the use of tiles in the home, whether it be for walls or for floors, is an established practice. Traditionally the unique properties of tiles have been recognised since antiquity. Use of glazed bricks dates to the dawn of history, archaeologists have found evidence of their use at Mesopotamia. Since then the use of tiles straddles Eastern and Western civilisations with some truly breathtaking examples persevered from ancient times that still inspire. 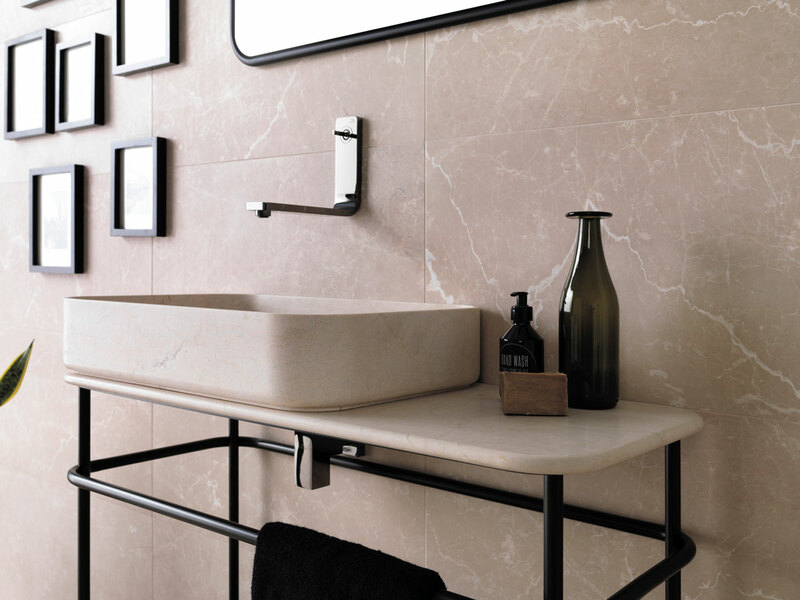 Tiles are long lasting, water resistant, hygienic and hold their lustre, making them perfect for use in the bathroom and the kitchen. 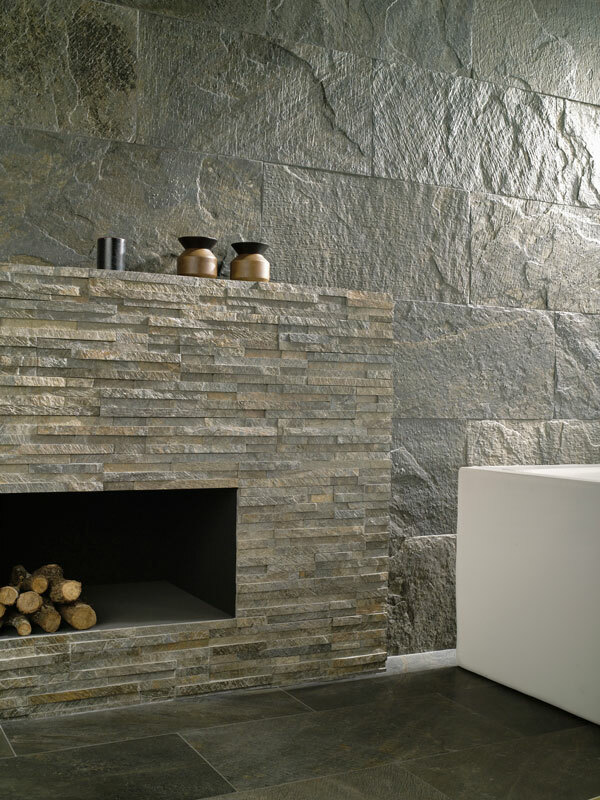 However as a cladding material tiles are also ideal for other areas of the home. They are highly practical, and involve relatively little maintenance. These qualities also make tiles appropriate for use externally, as a material for creating furniture (tables, kitchen worktops and benches) and paving patios etc.. We have collected a few tile trends below to help stimulate the imagination and inspire you in your use of this most unique material. With so many options there has never been a time when stamping one’s identity on the home has been easier. 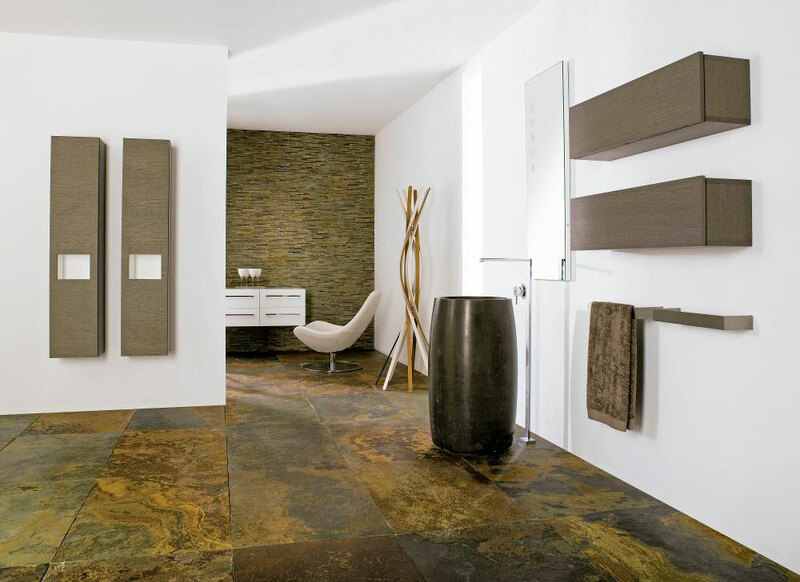 When applied to a wall or a floor the impact of tiles is immediate. 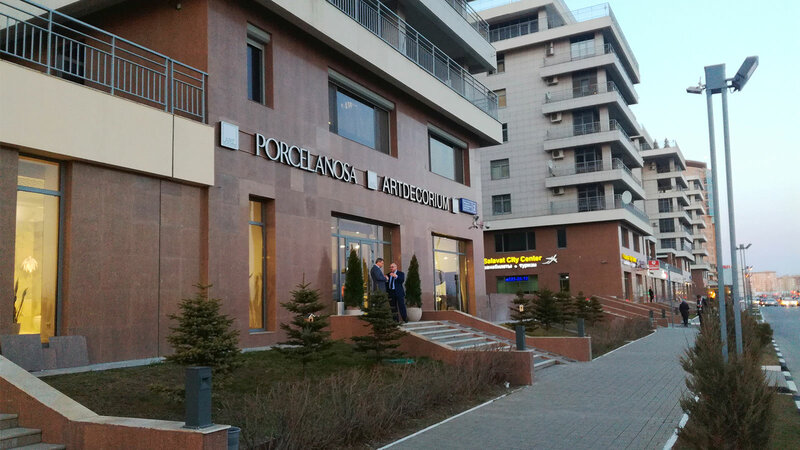 Although tiles can be made from a number of materials such as ceramic, porcelain, stone, metal, baked clay, glass the most commonly used materials for the home are ceramic and porcelain. 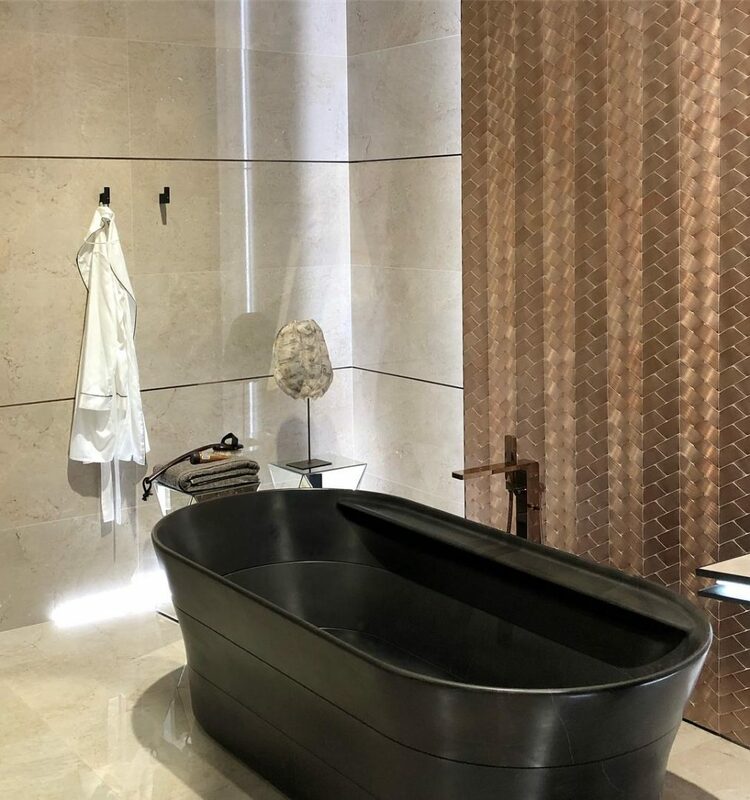 The range of tile trends includes mosaic tiles mounted on mesh, 3D and textured tiles, geometric shaped tiles and printed tiles with naturalistic motifs. 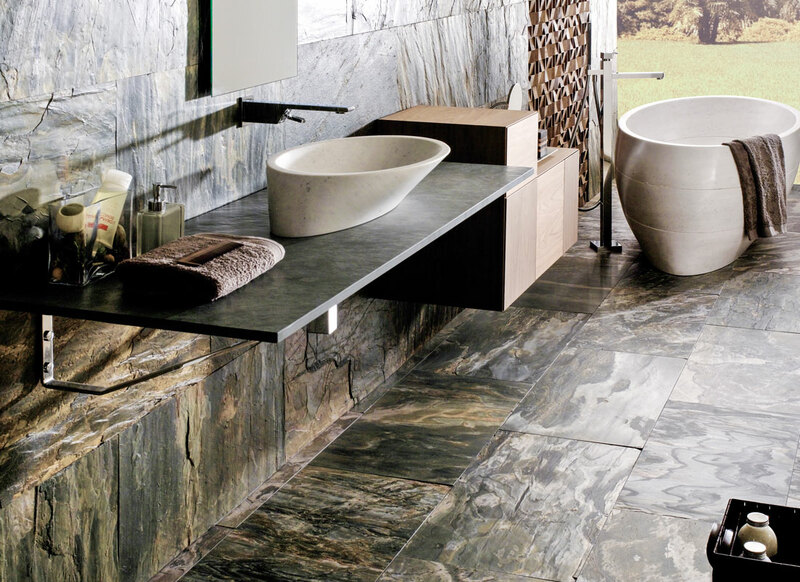 Nowadays there is literally a myriad of tile ideas to choose from. At a time when we are all concerned about the environment, and the future impact of mankind’s activities on the planet, the trend towards all things organic is increasingly popular. 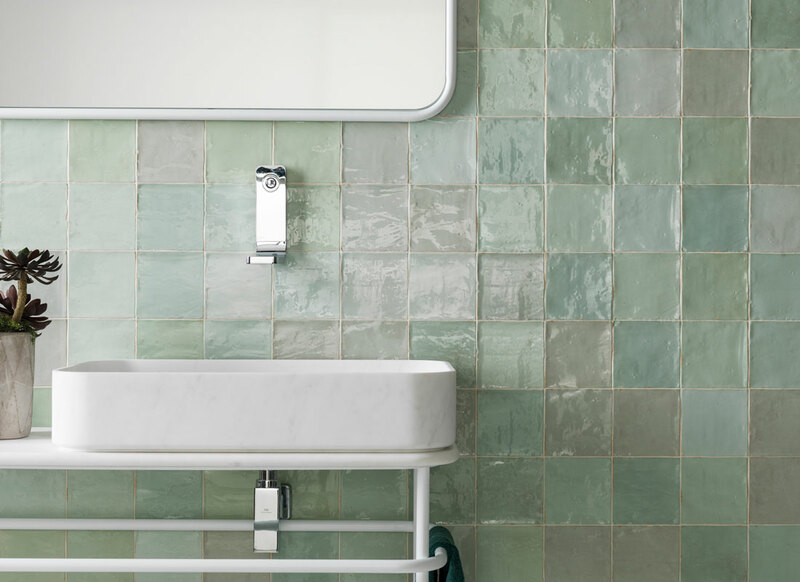 This latest tile trend is expressed through the Japanese Wabi-sabi philosophy, an approach that celebrates the imperfect. 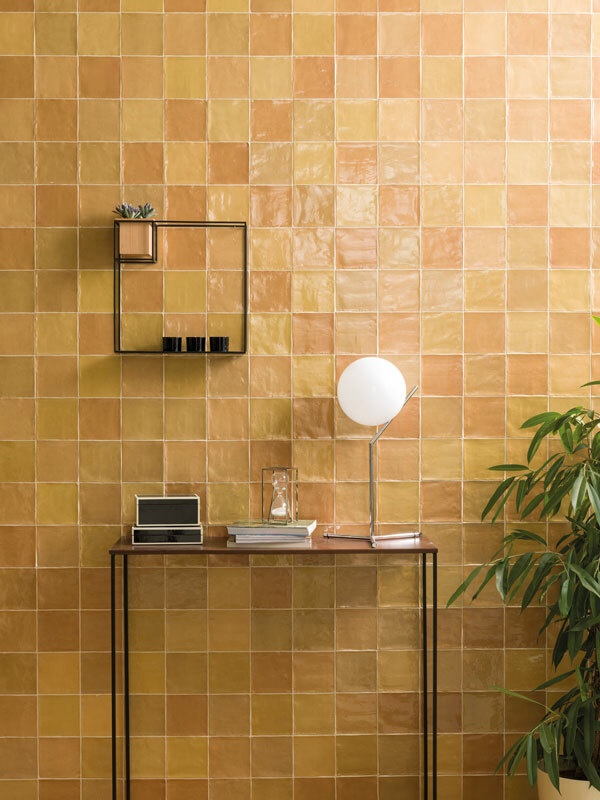 Tiles that recreate raw surface textures, terracotta and unglazed ceramic are good examples. Each flaw a unique characteristic belonging to only that tile. 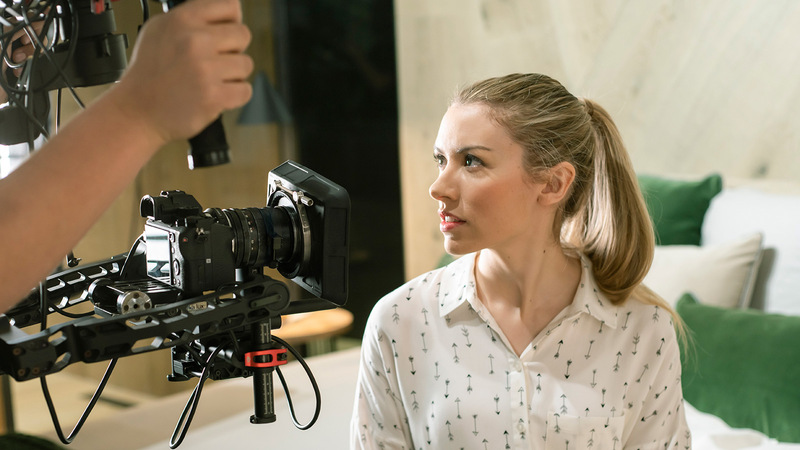 Nowadays tiles can be wafer thin without sacrificing strength and expressed in any number of patterns and surface treatments, thanks to digital printing. Their dimensions can reach up to 4 meters. These advances in tile technology are reflected in the use of ceramic tiles on the space shuttle programme. As a material its extraordinary durability and resistance made it the ideal cladding for the underside of the spacecraft on its re-entry into the atmosphere. With the advent of digital printing the natural world can be recreated and even improved upon. 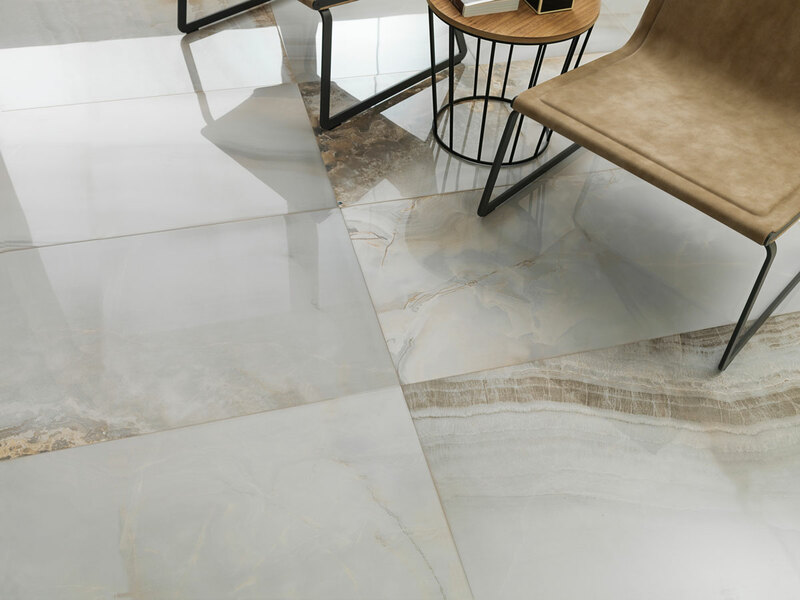 Stone marbling effects can be reproduced through digital printing on porcelain with colourful veins simulating nature’s most spectacular works of art. The romantic expressionist painters of the 19th century were obsessed with the translucent quality of paints used in water based solution. 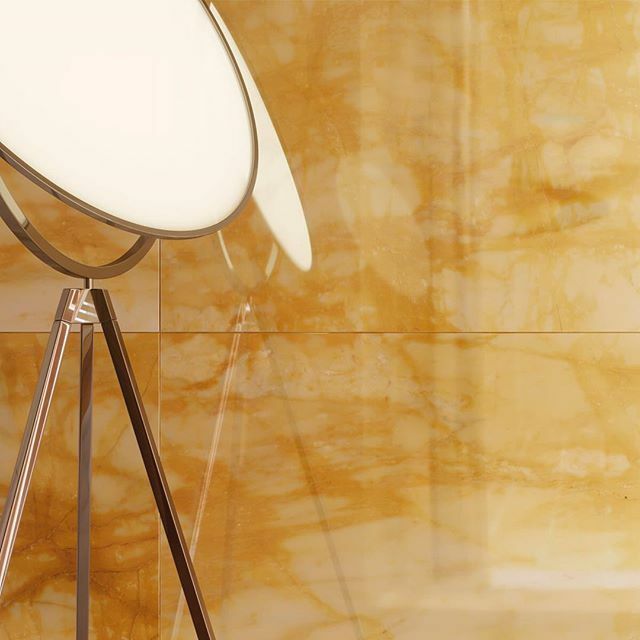 This quality is captured in ceramic with surprising results in one of the latest tile trends. The effect can be particularly striking when used in wet areas of the home like bathrooms, showers and kitchens. 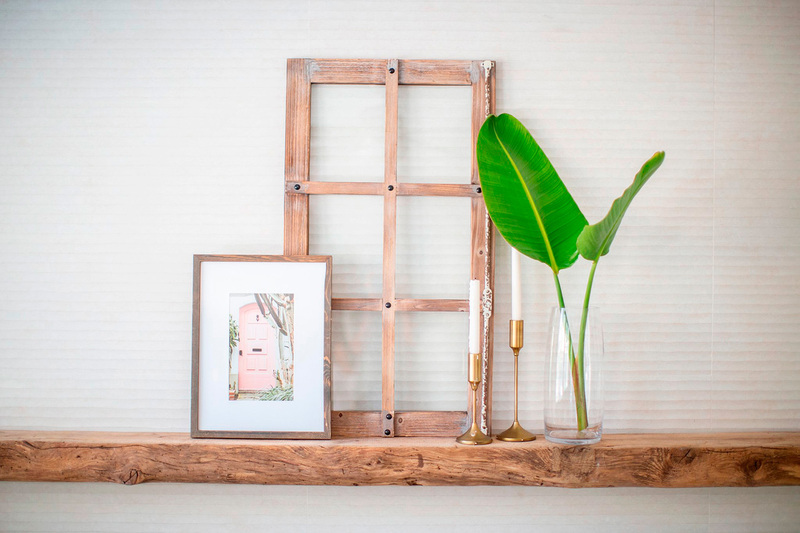 Actual metal or powdered pigments to recreate metal finishes on tiles can also make an impact in the home, especially as a feature wall or flooring in a living space. The highly masculine look can be softened with planting and other designer accessories. The combination of colours, textures and finishes is another popular approach. The more contrasting the tiles the better, with 2D and 3D tiles, patterned and plain, colour and monochrome, matt and polished. 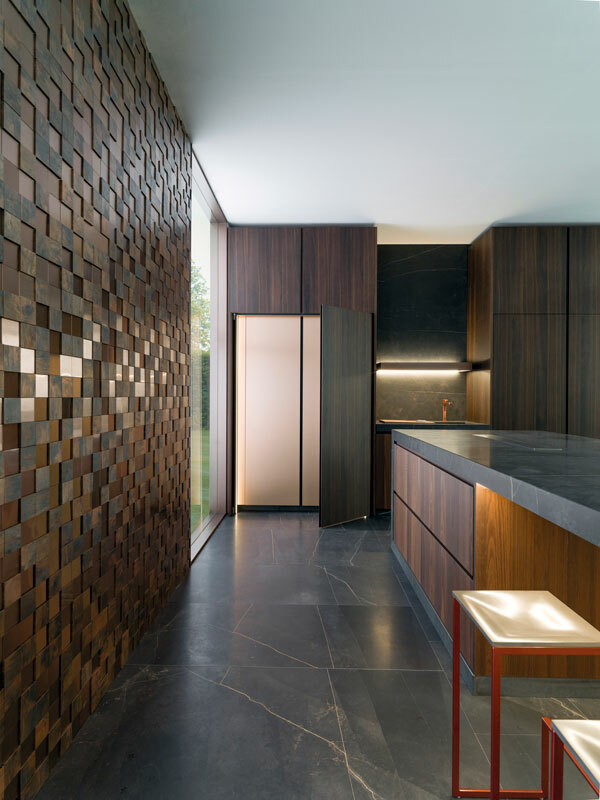 Tiles might well be the most simple but most impacting material for re-imagining home décor. 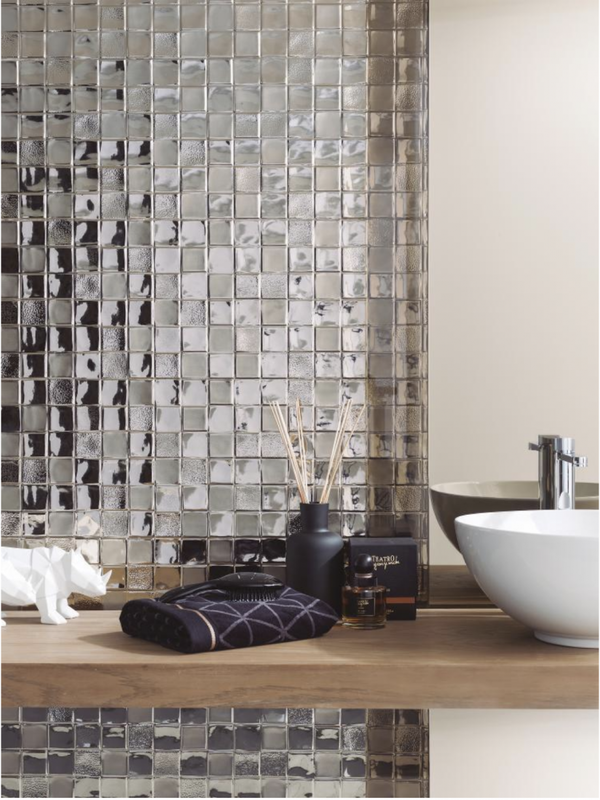 Have you been inspired by a contemporary tile that you’ve seen recently? Or a favourite historical tile that made an impression? Take a photo and share your inspiration.